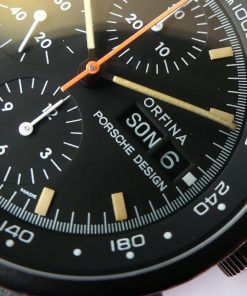 The first product Porsche Design came up was a chronograph wristwatch made by Swiss watchmaker company Orfina. 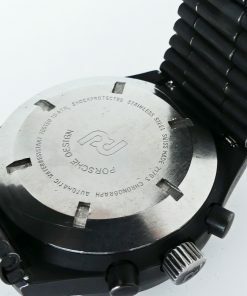 Its design started during F.A. 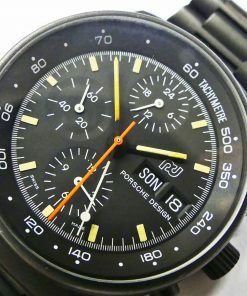 Porsche was still working at the Porsche style bureau. 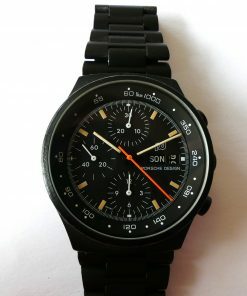 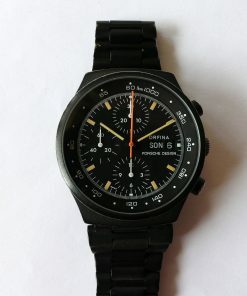 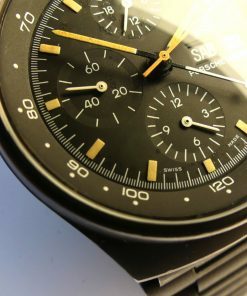 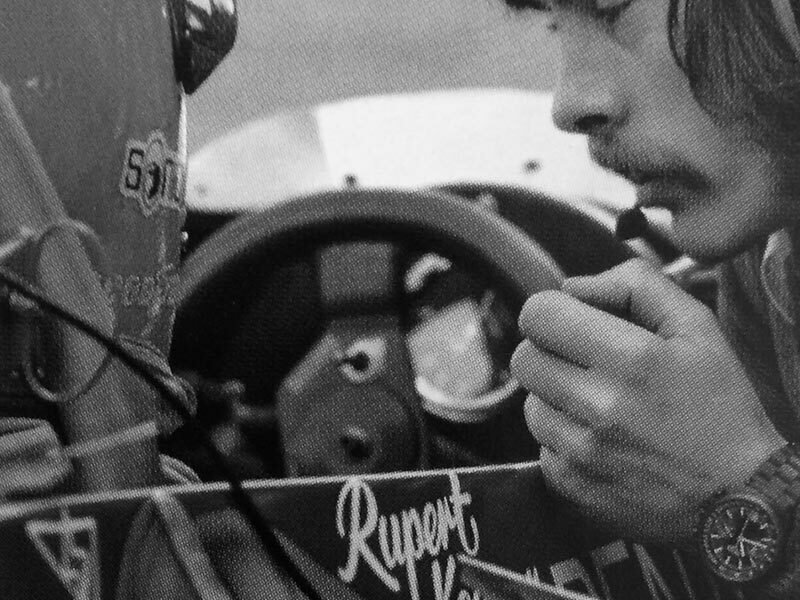 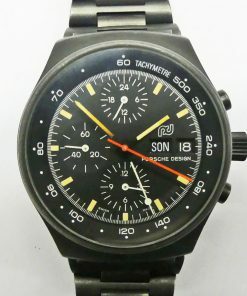 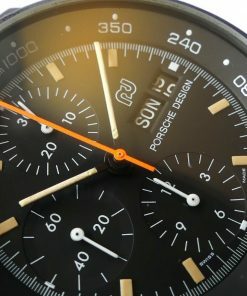 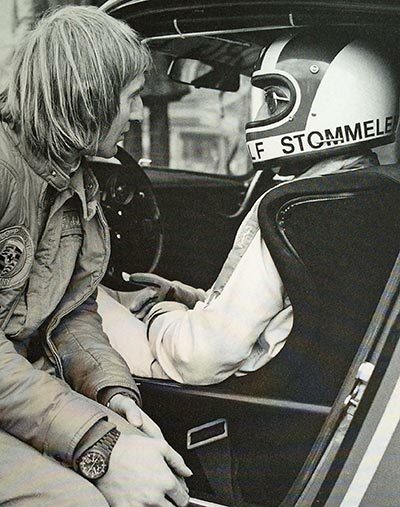 It was launched in 1973 and was different from other chronograph wristwatches as its case and bracelet were made out of matte black chromed steel. 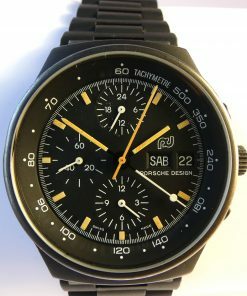 It was intended as accessories for Porsche drivers and sold by the Porsche dealers. 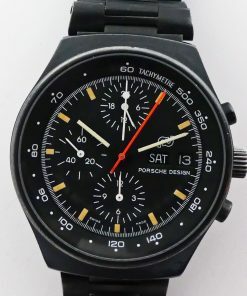 The former Formular One racing driver Mario Andretti has worn the black PVD coated Orfina Porsche Design as well as Tom Cruise as "Maverik" Mitchell in the famous action movie "Top Gun".